In 2013 I attended a talk at Goldsmiths where I was a studying for my BA. 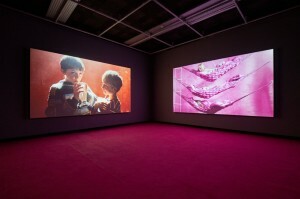 It was a conversation between cultural theorist Mark Fisher and visual artist Laura Oldfield Ford. Fisher, a lecturer based in the Aural and Visual Cultures department, was well known around campus, mainly for his book Capitalist Realism: Is There No Alternative?, which marks its 10th anniversary later this year. Copies of the svelte paperback swapped hands frantically among students. It was constantly referenced and discussed across departments and managed to articulate things that myself and my peers had long sensed to be true. And it did so in a way that we could relate to: through pop culture. On my way out of the talk that day, Mark noticed I was reading Margaret Atwood’s Surfacing and told me it was a favourite of his, which naturally turbocharged my enthusiasm for it. Recently I found my notebook from that term, and in capital letters I had scrawled a quote from Atwood’s 1972 novel that reads: “If it hurts invent a different pain”. It was as if she was speaking directly to Mark’s theory of capitalist realism; that unbearable but unavoidable state of endurance in the absence of another horizon. Mark grew up in the working-class East Midlands, the landscape of which is reflected in the pastoral tone of his work. Here he developed a love for popular culture that would come to span the rest of his life and form the basis for much of his work. He hated school and attributed his later involvement in philosophy to mainstream sources such as the music magazine NME. “It wasn’t only about music and music wasn’t only about music”, he said in a 2010 interview with Agata Pyzik. “It was a medium that made demands on you.” His lead into academia came with an expansive trail of influences not commonly observed within the institution. 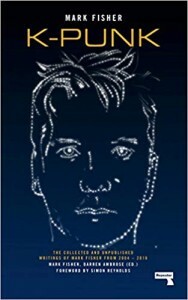 He was part of unorthodox accelerationist group Cybernetic Culture Research Unit (CCRU) whilst studying for his PhD at Warwick in the late 90s, and from this came K-punk – the first public manifestation of his interdisciplinary tract. A blog that began as a place to test and refine ideas, it gained a cultish notoriety among an audience who felt similarly disenfranchised by the dumbing down of pop culture. 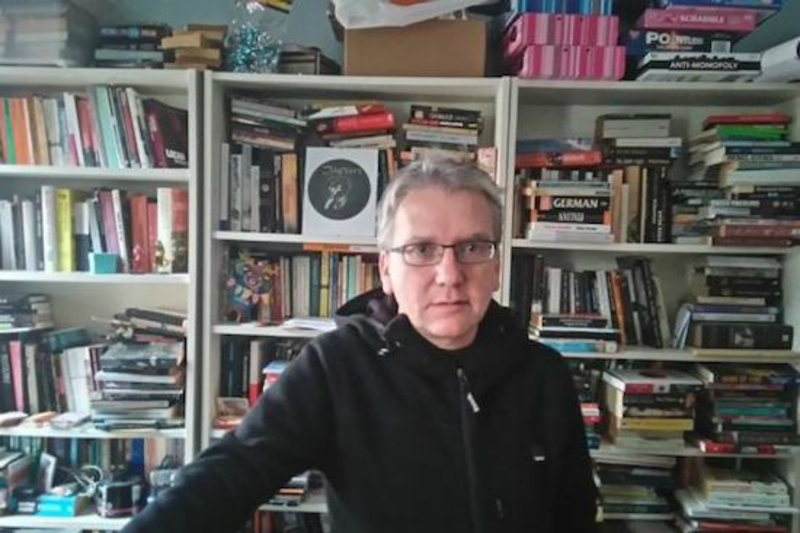 Mark found a natural home in polemic, simultaneously blurring and operating in the spaces between punk and cultural theorist, between fandom and scholarship. Both cultural theorists and punks rejected consumer culture, notes Greil Marcus in his subcultural doorstopper Lipstick Traces, but the difference is that punks do so with joy. Likewise, enthusiasm for his material was obvious: his writing is marked with a sense of urgency – tendrilling across and through a deep web of pop and theory. Nothing was off-limits, he sang Rihanna’s praises and surprised readers with an unexpected fondness for British singer Dido. Through K-punk he was able to expose how the mechanisms of class and power reveal themselves in pop. What gave him agency to do so was his fandom. There is a specific fervor that can only be claimed by fans, and he weaponised this energy in his writing – his riffing and rambling, his adventurous, idiosyncratic language. Punk was always a refusal to accept things as they are, and K-punk was not only a refusal to the walls and limits of academia but a restless refusal of passivity. Since his premature death in 2017, Goldsmiths has held an annual memorial lecture devoted to Mark’s work and the continuation of his ideas. The second of these events was given by American political theorist Jodi Dean last month. Aptly, yet somewhat bleakly titled Capitalism is the end of the world, she nods toward the Fredric Jameson quote – “it is easier to imagine an end to the world than an end to capitalism” – often attributed to Mark after having adopted the slogan as the title for the opening chapter of Capitalist Realism. With more than 1,000 in attendance, this year’s event was a testament to how admired he was. Four additional rooms were filled by the surplus of Fisher’s fan base. Dean’s lecture asked how the left could counteract this apocalyptic state of capitalist realism whilst being simultaneously confined within it. Focusing on his contentious essay Exiting the Vampire Castle, Dean made a case for the figure of the ‘comrade’ as essential to the progress of the left. The essay, written in 2013 for The North Star was divisive and prompted his extended hiatus from social media in its aftermath. In it he voiced concerns that identity essentialism had eclipsed class consciousness raising – that the efforts of neoliberalism had succeeded in shifting the focus from the group to the individual. He points out the very real consequences of online in-fighting for grassroots initiatives noting: “We need to learn, or re-learn, how to build comradeship and solidarity instead of doing capital’s work for it by condemning and abusing each other. This doesn’t mean, of course, that we must always agree – on the contrary, we must create conditions where disagreement can take place without fear of exclusion and excommunication.” His warning is clear and more relevant now than ever: divide and be conquered. The left’s long infatuation with the ‘com’ prefix has been well documented – ‘communism, community, communication, comradery’ – hallmarks of leftist discourse, and rightly so. To say ‘I am a comrade’ makes little sense – and political work must be genuinely plural for it to ever exceed a self-conscious gesture. In her lecture, Dean reminds us that in comradeship, we gain a commitment to things that we would normally miss, gaining a liberating discipline. When we change our relationship to each other we ourselves become changed – and that inevitably radiates outward. To pry ourselves away from the disorientating focus on the ‘I’ requires faith in the group. Mark pursued that faith not only through his blog but through his other endeavours – his message board Dessensus for example, or his co-founding of Zero books, and later Repeater books. Mark wrote expansively about the potential of counter-cultural spaces as markers for community. Forms of collective experience that did not necessarily express themselves politically because, as he knew and continually demonstrated, the personal is of course always political. He insisted on the importance of spaces of communal dreaming – the municipal art schools of the 60s and 70s, football matches, raves – the energy of which he once described as a “baroque sunburst”, another tribute to Jameson. Mark’s insistence on collectivity and inclusion was linguistic, too. He had a superb capability to coin phrases that functioned like memes. Neologisms that managed to encompass broad sets of ideas in a concise snapshot that could be circulated and referenced easily. Whilst Dean rejected the idea of ‘branding’ as being a strategy inherently capitalist, Mark found a way to use the tools of the system against itself. He was simultaneously poetic and economic with his language and understood the importance of style in practice. 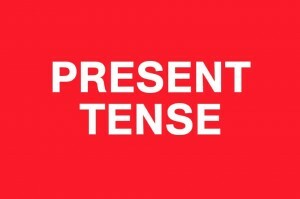 ‘The slow cancellation of the future’; ‘Reflexive impotence’; ‘Retroparalysis’; ‘Depressive Hedonia‘ – phrases easily circulated and understood. He invented a glossary of terms that read like album tracks and, as with music, the titles act as catalysts, instantly recognizable. Music functions on a sensual level, or as Mark would say, “libidinal”. Pocket-sized versions of the experience of a song that can be called upon to evoke a mood, tone or memory. 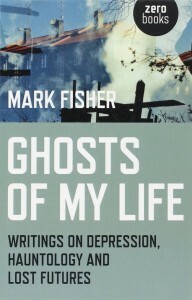 One of his favorite songs (Ghosts, by new wave art rockers Japan) inspired the title of his second book, 2014’s Ghosts of My Life: Writings on Depression, Hauntology and Lost Futures. It was here he developed his theory of hauntology, which he later built on in his final book, The Weird and the Eerie. Originally a Derridian term, ‘hauntology’ describes a longing for a future that never arrived. In these essays he spoke candidly about his mental health, and throughout his work was able to contextualize depression as a malady of capitalism. Neoliberalism’s attempt to individualize suffering, he argued, burdens us with responsibility rather than our situations. Dean, too, spoke about the “ravages” and “casualties” of late capitalism. “Everyone bends under the pressure, some of them crack, fatally”, she remarked. The rise of precarious employment, the loss of class solidarity and unions along with our lack of ability to imagine a different future for ourselves means that depression is, if anything, an appropriate response to ill-fated circumstance. Mark argued that the crisis of mental health is inherently economic, inseparable from the financial crisis we find ourselves concurrently bound within. It comes as no surprise when Dean states that “the percentage of people in the lowest income bracket experience almost twice as many mental health problems as those with the highest”. He understood our psychic wounds were not just social, but also political and it’s this emotional dimension to his work that sets it aside from his contemporaries. We can find freedom in the analysis of our everyday lives, and this is what Mark found in academia, but as anyone who has ever suffered from depression knows – analysis can only take you so far. Acid Communism would have been the title of his next book, the text he was working on at the time of his death. It is an attempt to find a way outside of capitalist realism and free ourselves from a state of cultural entropy. 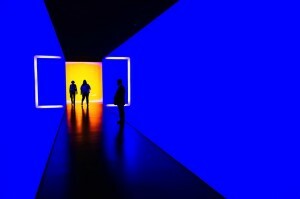 Using art, music, and dreaming as points from which to begin imagining the outside of our fatal predicament, it has more recently inspired appropriation by the Labour left in the form of Acid Corbynism. In a K-punk post from 2015 he refers to the “Red Plenty” which he defines as our “collective capacity to produce, care, and enjoy”. The memorial lecture was duly followed by a night organised by students and friends of Mark as a way to think alongside him outside of the classroom. For K-punk, a free event, seeks to engage through music, performance and other modes of togetherness. Yes, as comrades, but also as friends. These experiences of sensuality and collectivity are imperative in moving forward and finding that transformative moment of rupture, that is, the ‘sunburst’ – a flash of light in a landscape on loop. In November 2018 a volume of his collected and unpublished writings was released by Repeater books. With a forward by Simon Reynolds, K-Punk is comprised of short essays, interviews, blog posts and works in progress written between 2004 and 2016. Few people understood the operations of culture with such perception. Fewer still were committed to compassion with such ferociousness. Mark’s work has changed how I navigate the world. He inspired and informed a new generation of thinkers and has provided a framework from which to move forward. And, like fans do, I feel inexhaustible – always more, and too much to say.